Emanate nothing put pure and sophisticated love wearing the Versus Versace Donna Jersey Stampato T-Shirt. Crew neckline. Short sleeves. Couple with abstract colors and shapes print at front. Pull-on construction. Straight hemline. 100 percent cotton. Hand wash cold, dry flat. Made in Italy. This item may ship with an attached security tag. Merchandise returned without the original security tag attached or a damaged tag may not qualify for a refund. Measurements: Length: 36 in Product measurements were taken using size SM. Please note that measurements may vary by size. 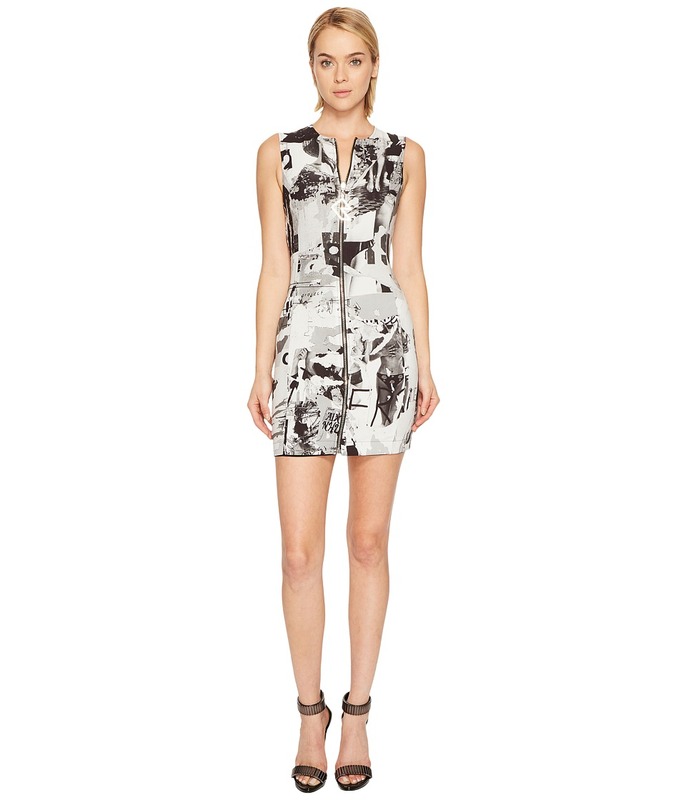 Stake your claim in the fashion game wearing the Versus Versace Abito Donna Tessuto. Shift silhouette. Scoop neckline. Sleeveless. Trim with brand name throughout. Front vent. Pull-on construction. Straight hemline. 70 percent acetate, 30 percent viscose. Professional dry clean only. Made in Italy. This item may ship with an attached security tag. Merchandise returned without the original security tag attached or a damaged tag may not qualify for a refund. Measurements: Length: 47 in Product measurements were taken using size 38. Please note that measurements may vary by size. Galvanize the masses with your rousing style wearing the Versus Versace Abito Donna Reversible Tessuto. Sheath silhouette. Jewel neckline. Sleeveless. Full length front zip closure. Dress reverses to printed side for versatile wear. Straight hemline. 70 percent acetate, 30 percent viscose. Lining: 89 percent polyester, 11 percent elastane. Professional dry clean only. Imported. This item may ship with an attached security tag. Merchandise returned without the original security tag attached or a damaged tag may not qualify for a refund. Measurements: Length: 32 1 2 in Product measurements were taken using size 38. Please note that measurements may vary by size. Galvanize the masses with your rousing style wearing the Versus Versace Abito Maglia Donna Dress. Sheath silhouette. Turtleneck design. Short sleeves with dangling straps. Banded logo at the hips. Pull-on design. Straight hemline. 70 percent viscose, 30 percent polyester. Trim: 48 percent polyester, 32 percent nylon, 20 percent elastane. Machine wash cold, line dry. Made in Italy. This item may ship with an attached security tag. Merchandise returned without the original security tag attached or a damaged tag may not qualify for a refund. Measurements: Length: 36 in Product measurements were taken using size 38. Please note that measurements may vary by size. Race towards the finish line of high power style wearing the Versus Versace Abito Donna Jersey. Sheath silhouette. High collar. Short sleeves. Front zip placket. Contrast trimming at bodice. Straight hemline. 100 percent wool. Lining: 100 percent polyester. Professional dry clean only. Imported. This item may ship with an attached security tag. Merchandise returned without the original security tag attached or a damaged tag may not qualify for a refund. Measurements: Length: 35 in Product measurements were taken using size 40. Please note that measurements may vary by size. 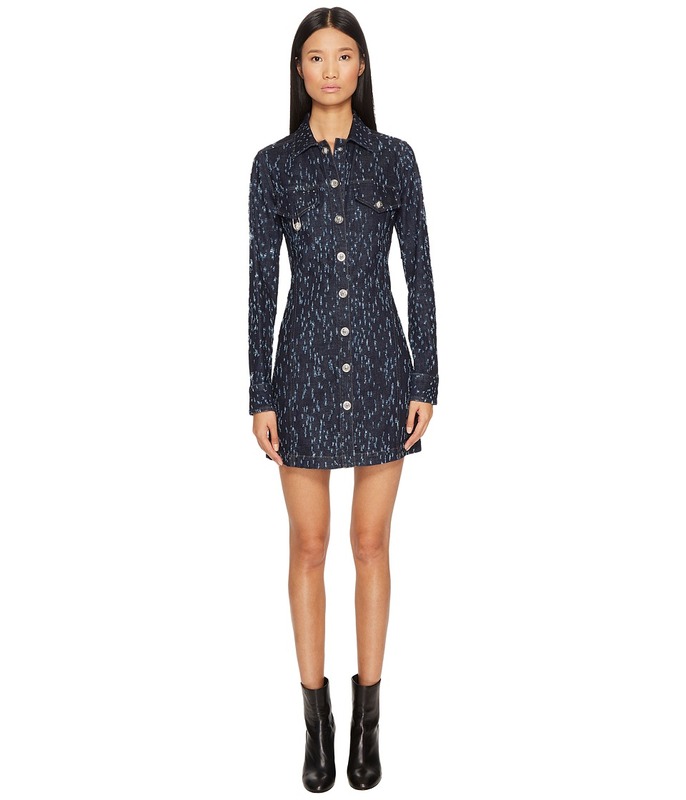 Race towards the finish line of high power style wearing the Versus Versace Abito Denim Donna Dress. Sheath silhouette. Point collar. Long sleeves with button cuffs. Front-button placket. Dual chest pockets. Straight hemline. 98 percent cotton, 2 percent elastane. Professional dry clean only. Imported. This item may ship with an attached security tag. Merchandise returned without the original security tag attached or a damaged tag may not qualify for a refund. Measurements: Length: 34 in Product measurements were taken using size 40. Please note that measurements may vary by size. 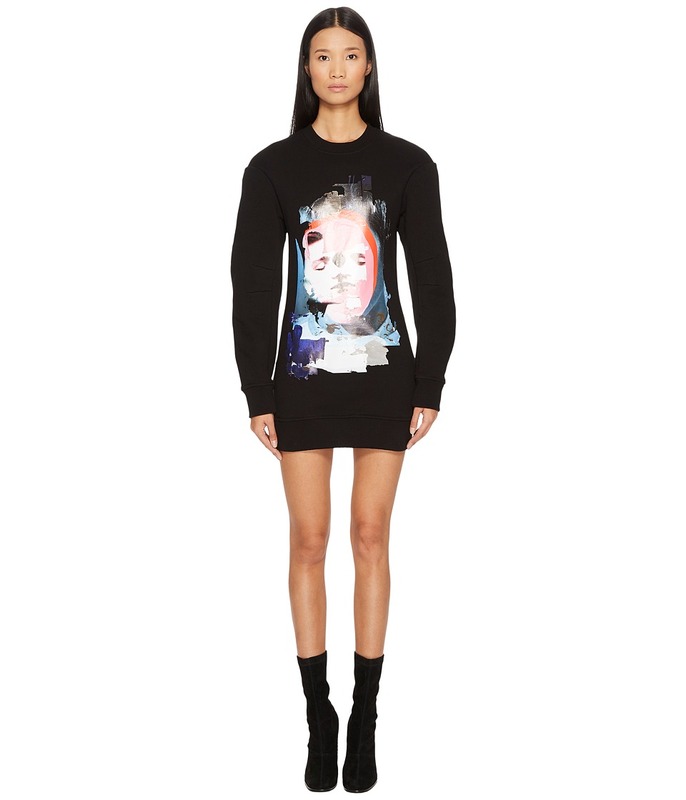 Fall in love with your look wearing the Versus Versace Sportivo Felpa Donna Printed Sweater Dress. Sheath silhouette. Crew neckline. Long sleeves. Back two-way exposed zip closure. 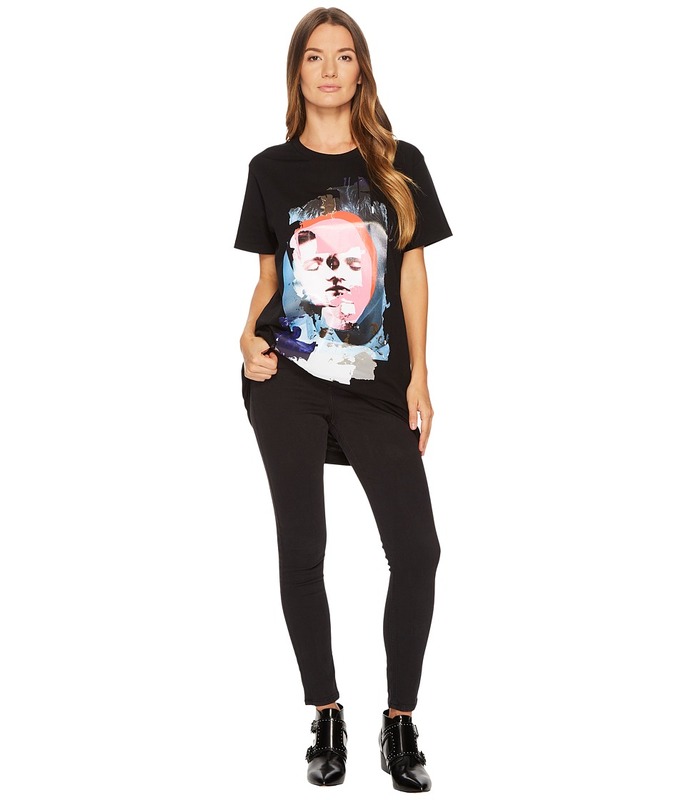 Couple graphic at front. Straight hemline. 100 percent cotton. Lining: 100 percent cotton. Hand wash cold, dry flat. Made in Italy. This item may ship with an attached security tag. Merchandise returned without the original security tag attached or a damaged tag may not qualify for a refund. Measurements: Length: 33 in Product measurements were taken using size SM. Please note that measurements may vary by size. 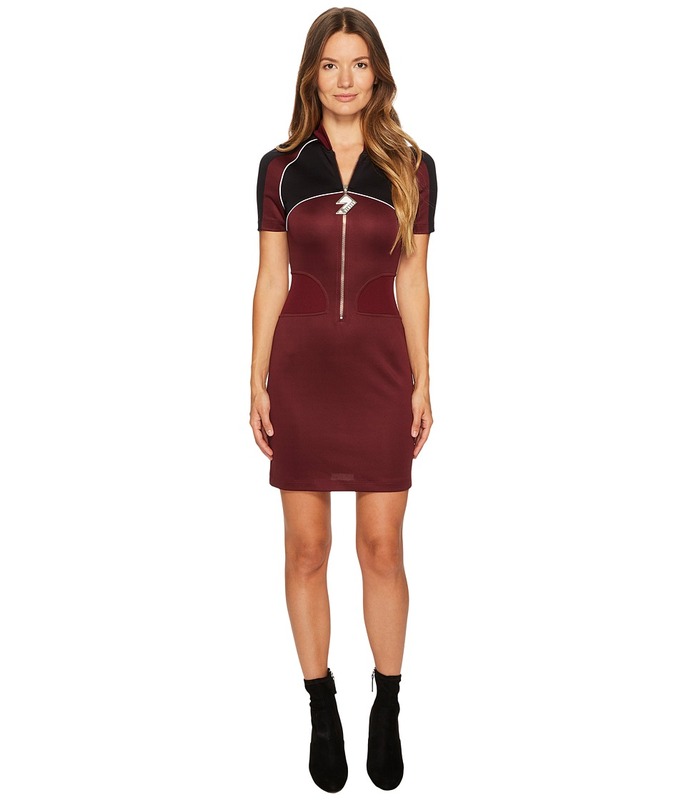 Fall in love with your look wearing the Versus Versace Abito Donna Jersey Dress. Sheath silhouette. Crew neckline. 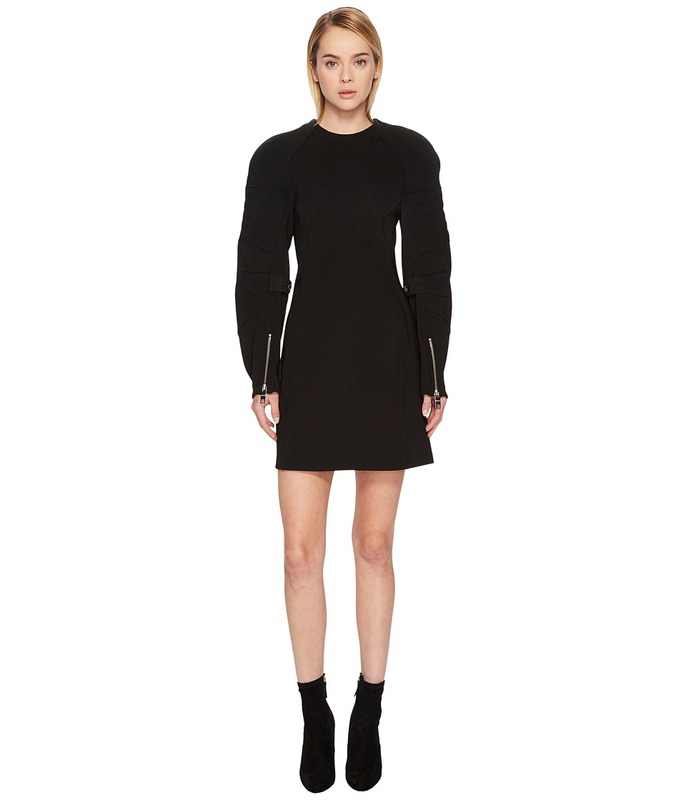 Long sleeves with panels at the shoulders. Zipper cuff extenders. Back-zipper closure. Straight hemline. 82 percent nylon, 18 percent elastane. Embroidery: 100 percent polyester. Padding: 95 percent polyester, 5 percent nylon. Professional dry clean only. Imported. This item may ship with an attached security tag. Merchandise returned without the original security tag attached or a damaged tag may not qualify for a refund. Measurements: Length: 35 in Product measurements were taken using size 44. Please note that measurements may vary by size.